A quick way to upload a new product is to scan its barcode or the barcode on the box. 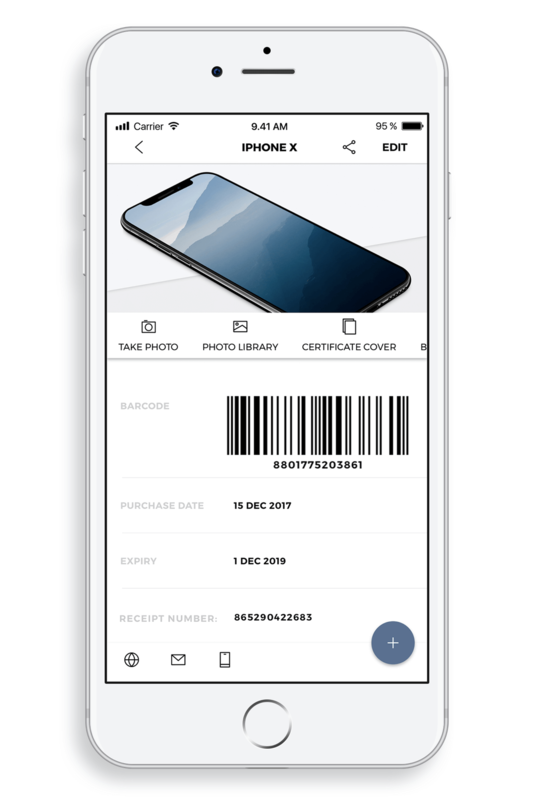 The app recognizes more than 100.000.000 products and will display product images and the barcode on the Certificate. Attach a photo of the receipt to the Certificate for proof of purchase and you are good to go.